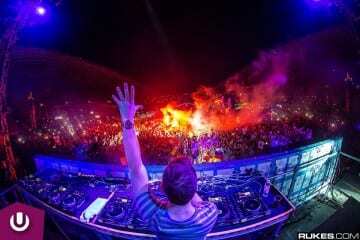 This year’s Ultra Music Festival has generated the massive amount of hype it does every March. From the people witnessing the madness in front of themselves to many glued to the live stream on their computers, the dance music community was set into Miami mode watching the pyrotechnics, the professional dancers, and the lucrative light shows each stage fired away. 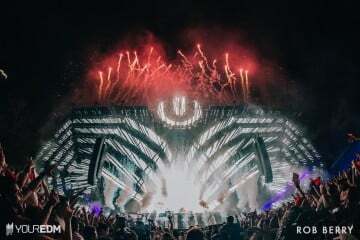 But on top of all these significant factors to the UMF experience, fans around the world expected to hear the newest music that these producers, DJs, bands, and more have concocted in the last year which many had delivered during the three-day extravaganza. 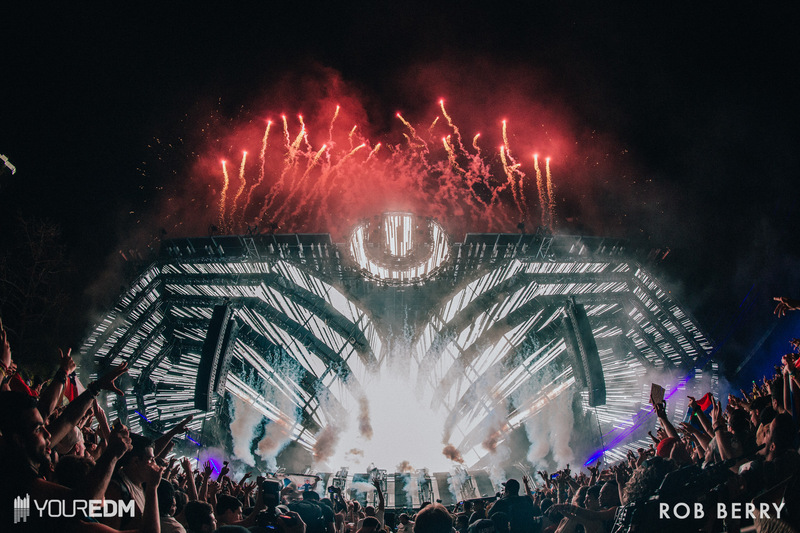 With incredible music coming from every act at Ultra Music Festival, these were the top ten best sets and performances audiences could have and should have caught. The duo consisting of Linus Eklöw (a.k.a. Style Of Eye) and Christian Karlsson (one-third of Miike Snow) made their debut main stage performance at Ultra Music Festival in spectacular fashion. Kicking off with a double dose of banging drums to the building intro of the Shapov track “Future Rave,” Galantis combined many of their greatest hits such as “Runaway (U&I),” “Gold Dust,” and “Peanut Butter Jelly,” with electro bangers, progressive anthems, trap monsters, and deep cuts. Audiences even got a taste of the new Galantis single “No Money,” a song with such ridiculous radio potential it has the chance to become the biggest summer anthem. The boy who smashed EDM with big room house returned to Miami as the headliner of the main stage. 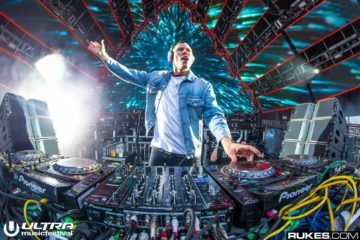 Despite being one the youngest people to ever perform on the biggest stage UMF can put together, the young Dutch sensation displayed his growing mastery over electro and progressive house and uncovered experiments in trap/future bass directions. 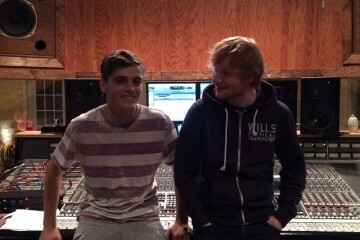 With nearly half of his set being unreleased music slated to come out soon, the hype around Martin Garrix continues to exceed expectations. Also it should be noted that not once did Martin play “Animals” in any way, shape, or form during his full hour set that Friday evening. 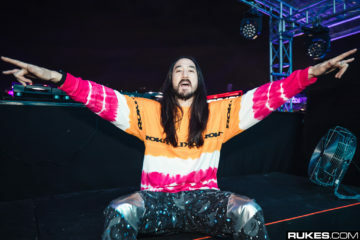 Standing in the cockpit of the Resistance Stage was one of house music’s most notable stars that rose to prominence only four years ago. Hot Since 82 brought a groovy flow through a series of peppy hi-hats and tenacious beats. 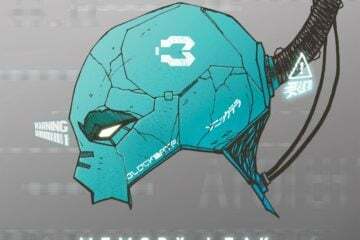 Under the eyes of the monolithic mecha-spider stage, the crowd stepped out of the mainstream EDM bubble for a chance to find a dance vibe that wasn’t powered by bangers or drops. Rather, Hot Since 82 took his hour to be a journey into uninterrupted rhythm that paid off with an audience that didn’t want a break from dancing their asses off. 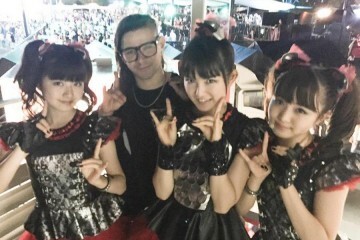 The blue-haired young lady who stands as one of OWSLA’s secret weapons made her UMF debut with a smashing-hard set. Mija (real name Amber Giles) may have a serious lack of original music under her name, but her live performances have garnered attention thanks to her ability to seamlessly blend perky melodies with rigorous bass music. In her latest performance, she blends throwbacks like the Flux Pavilion remix of “Midnight Run” to unreleased songs like her upcoming collaborative remix with Skrillex. It’s a shame that all the recorded versions of Mija’s set online are interrupted by a Richie Hawtin interview, but at least it gives an idea of how fresh her sound live was by comparison to many of her peers. As is custom every year Ultra passes through Miami, the Carl Cox & Friends tent establishes itself as the go-to destination for festival attendees to be surrounded by nothing but booming house music and complex LED stage productions. Even though the lineup for the Friday and Saturday included the likes of Richie Hawtin and Loco Dice, it was the main man Carl Cox who closed his stage with his signature Ibiza-style of infectious groove. For two hours, the legendary house veteran was bouncing around his turntables, taking the non-stop party his openers left for him and to new heights. I’ll be the first to admit that we might talk too much about deadmau5 on this site. From his brutally honest opinions shared over Twitter to his fascination with feline-themed super cars, it’s easy to lose track of the fact that Joel Zimmerman is first and foremost one of the most legendary names in the dance music scene of the last ten years. 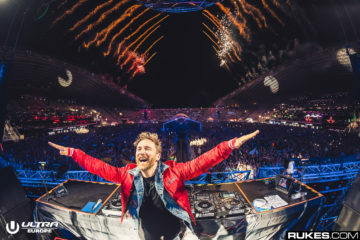 This is further perpetuated by the fact that he packed not only his scheduled A State Of Trance set on Sunday, but also filled the Live Stage as a replacement for The Prodigy as a headliner! He even ended one of these sets by playing “Ace Of Spades” by Motörhead, and the adamant trance family didn’t skip a beat rocking out to a tremendous tribute to a fallen rock star. And this paragraph doesn’t even include the shenanigans he pulled at the end of Sunday, but we’ll get there soon. The first of two mysterious figures to make this list is the phenomenon known as Malaa. Bringing along what might have been the most terrifying entourage of men in black clothes and ski-masks, the name supported by the Pardon My French Crew (including Mercer, Tchami, and DJ Snake) continues to draw attention through his dark interpretation of house music. With a sizable amount of hip-hop laced tracks such as “Notorious” and “Fade” played in addition to many IDs credited to the man under the mask, only time will tell where Malaa will finally land among a music scene of DJs and producers. But this Ultra Music Festival set is a good start. 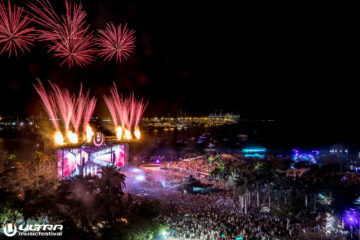 The Live Stage at Ultra Music Festival has had performances that could be found across many music festivals around the world. With most of them playing instruments and singing live, the Live Stage has become the bridge for UMF to bridge the gap between electronic dance music and the rest of the music scene. Duo-turned-trio Nero performed with a bombastic DJ portion, live instrumentation, and elegant singing to create an all-around live-concert experience. With Alana Watson taking command of the stage with her romantic volume, to the eclectic work Daniel Stephens and Joseph Ray spent behind the decks, and in front of it with keyboards and synthesizers, Nero delivered a show that left fans with the impression of what an electronic live show should be. This had to be one of the most insane performances of the whole weekend. As the mysterious Marshmello climbed up the steps to the DJ booth, the crowd was already tightly packed to see the anonymous figure destroy their eardrums. As the set kicked off, people began to push through the established crowd and climbed trees overlooking a sea of ravers just to boogy down to Marshmello’s distinctive trap flavor. Other DJs like Ookay and Kygo stood chilling backstage just because of how lit this performance was. There was even a gentleman in a wheelchair crowdsurfing during the middle of Marshmello’s set who was traveling all the way to the front of the stage. What a time to be alive! I’m not sure what needs to be said here. From Knife Party performing their first ever Ultra as headliners, to Tom Morello from Rage Against The Machine and deadmau5 making appearances, to the return of drum and bass kings Pendulum, the final set of this year’s UMF was one that was as refreshing as it was nostalgic. Seeing the Knife Party logo stretched over on one of Downtown Miami’s skyscrapers, and the magnitude of fireworks and lights dedicated to this performance alone, does not even begin to explain what this major comeback to one of electronic music’s surely missed acts means to the whole electronic dance music scene. It will go down as one of Ultra’s biggest headlining acts to date. Agree or disagree with our list? Let us know what you think were the best and worst sets at Ultra Music Festival in the comments below! Next ArticleZedd Offers Mysterious Prize To Fan Who Remixes "Candyman"